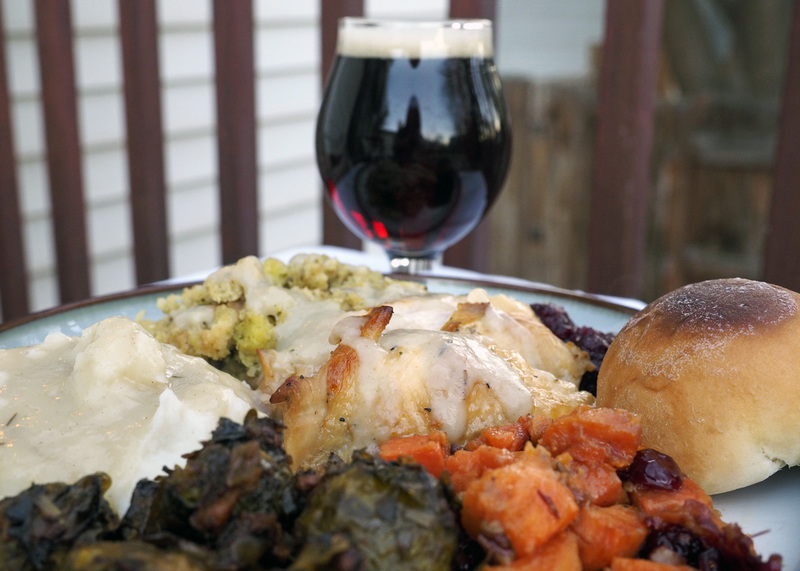 The time has come to stuff your face, drink beer, and give thanks for the bounty on your table and the full belly you’ll soon find yourself with when all has been properly devoured. For those who are unsure about just what type of brew to crack when the time comes, fear not! 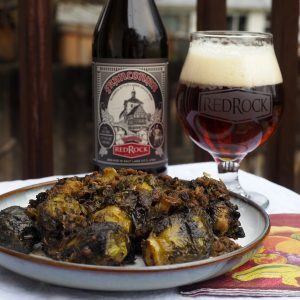 I have given myself to the cause and spent the week researching the best beer pairings for your Thanksgiving dinner. Food served at Thanksgiving is full of warm, rich flavors, herbs and spices, and plenty of decadence. The types of beer you’ll want for such a feast can certainly vary, but if you stick to sweeter beers with plenty of malt character and even a little spice, you won’t be disappointed. I decided to deconstruct a Thanksgiving dinner to find out what goes best with each element you might find on your plate. This doesn’t mean you need a different beer for each mouthful of food. Although, who am I to stop you? Still, I’ve tried to find options that will work well for your entire meal, but you may want to choose something that will emphasize your favorite dishes. I love this goat’s milk cheese log found at Costco and have purchased it many times over the years. I incorporated it specifically so I could include Dangereux Farmhouse Ale by 2 Row Brewing. 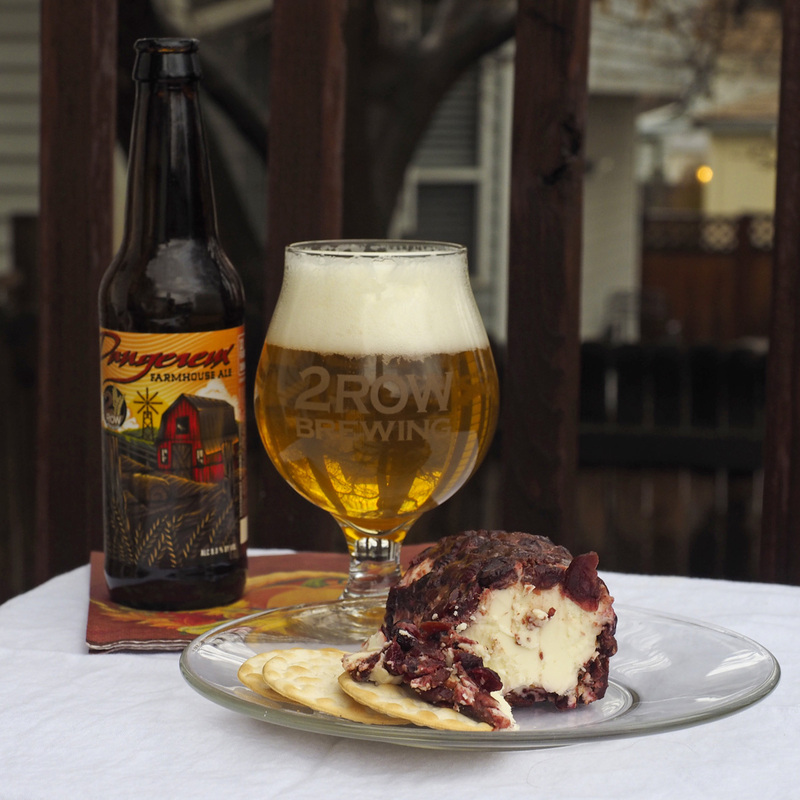 This beer is well-balanced and incredibly versatile when it comes to pairing. The fruity esters in the beer play nicely with the cranberries while the cinnamon brings out its spicy notes. It also blends well with the creamy, funky goat cheese, serving to cleanse the palate between bites. This beer also goes great with cranberry sauce, sweet potatoes, and any fruit pies or desserts you may have planned. For the most part, you aren’t going to want bitter beers at your Thanksgiving dinner. But, an India Pale Ale can work nicely as a contrast to a sweet and creamy butternut squash soup. IPAs go well with rich foods and do a good job cutting through the fat. They are also stellar with cheddar cheese, so if you’re lover of mac n’ cheese, an IPA may be your ticket. 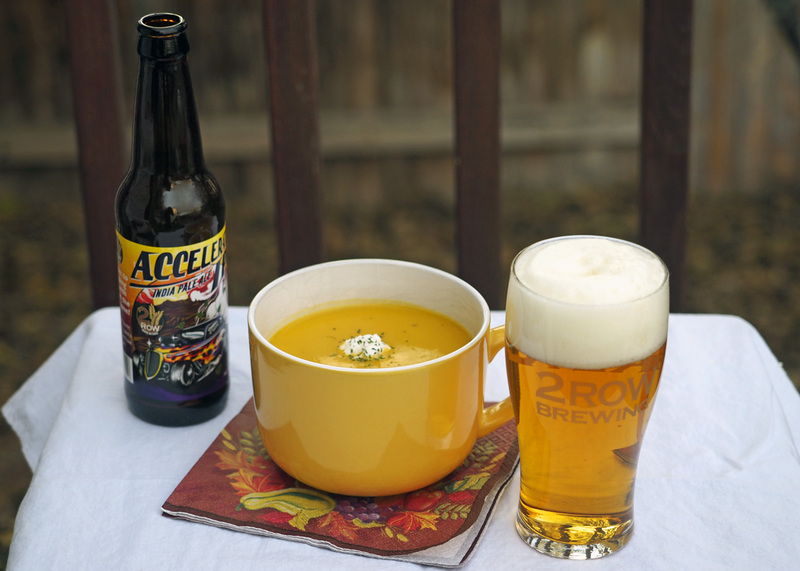 You can also try a crisp refreshing lager with your butternut squash soup, particularly if it’s spicy. I chose Proper Brewing’s Tripel Stamp. 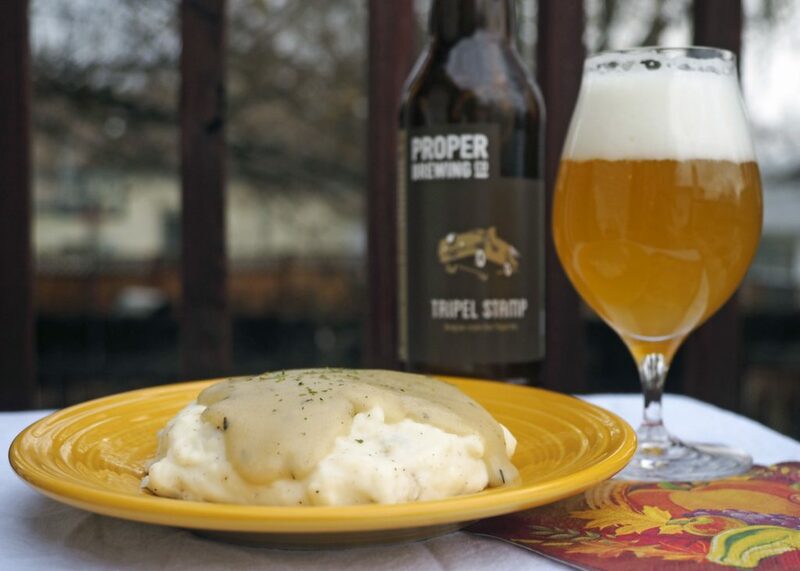 This Belgian style oat tripel has a light body with a spicy floral flavor that doesn’t overpower the potatoes and brings out any herbs and spices you may have used. Its semi-dry finish will diffuse the creaminess as you eat, and it’s very nice with the stuffing. Belgian style beers in general are a great choice for Thanksgiving dinner since they tend to be a bit sweeter and can have a spicy character. You can also try other tripels, witbiers, or Belgian golden strong ales. 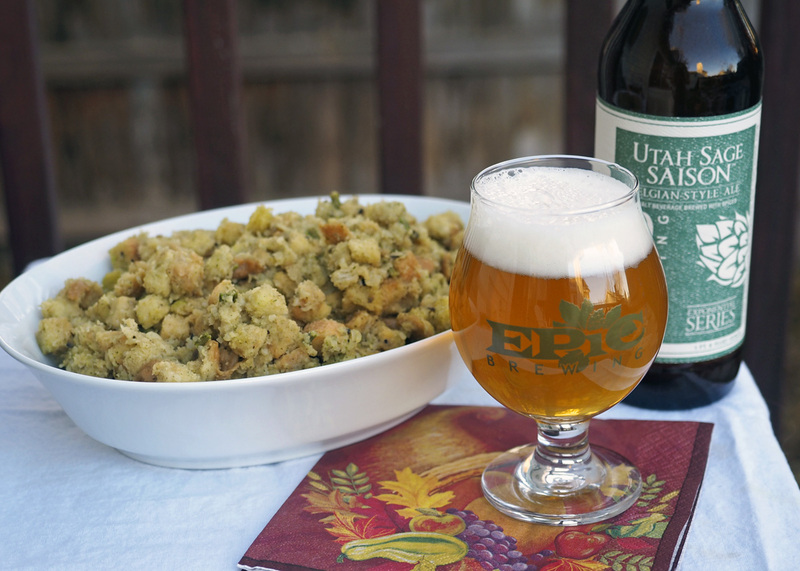 The Utah Sage Saison from Epic Brewing is perfect for your stuffing. With strong hints of herbs and light fruity esters, it will complement the salt and spices. It’s light enough not to overwhelm the mashed potatoes, and also goes well with cranberry sauce. The dry finish helps to moderate cream and fat. Lovers of the sweet tartness that is cranberry sauce will want to try something sour. 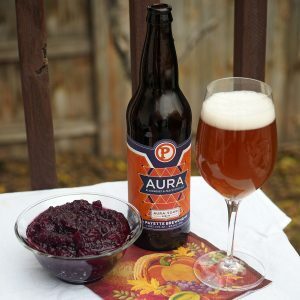 I found this Aura Blackberry & Peach Sour Ale from Payette Brewing at my local Harmons Grocery store and it had enough flavor to take on the cranberries. Subtle beers won’t do. Pick something bold. Fruity sour beers work well as will a Berliner Weisse. Since I made this Brown Ale-Brined Turkey last year, I’ve decided that brown ale is simply awesome with our favorite holiday bird. Red Rock’s Bobcat Nut Brown is such a beer. 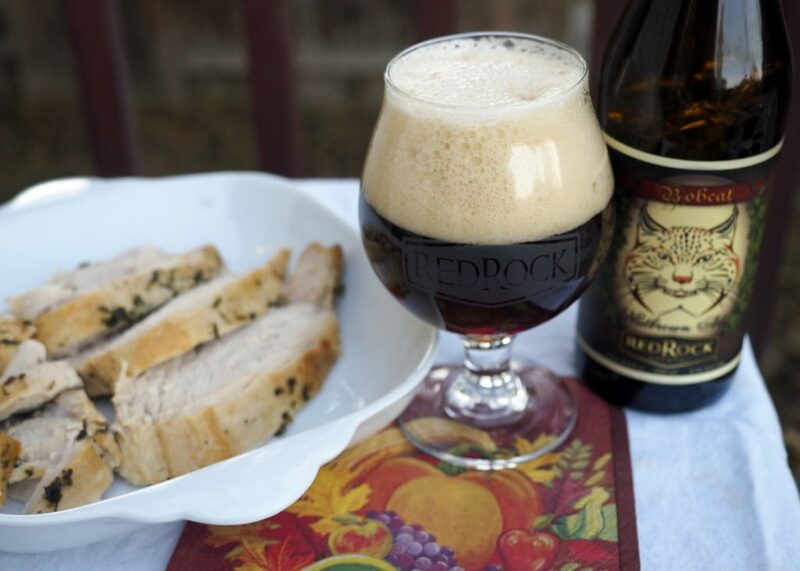 I love how the nutty, malty essence of the beer brings out the savory caramelized flavors of a good crispy skin. I’d wager a bottle of Red Rock’s whiskey barrel-aged doppelbock, Secale, would be a good fit. Also, look for Belgian quadrupels, Scotch ales, and barleywines. This may be my favorite pairing yet. Brown Shugga’ by Lagunitas is a winner! The rich malt and low bitterness of the beer lets the nuttiness and sweetness of the sweet potatoes shine. Both are bold enough to stand up to each other. 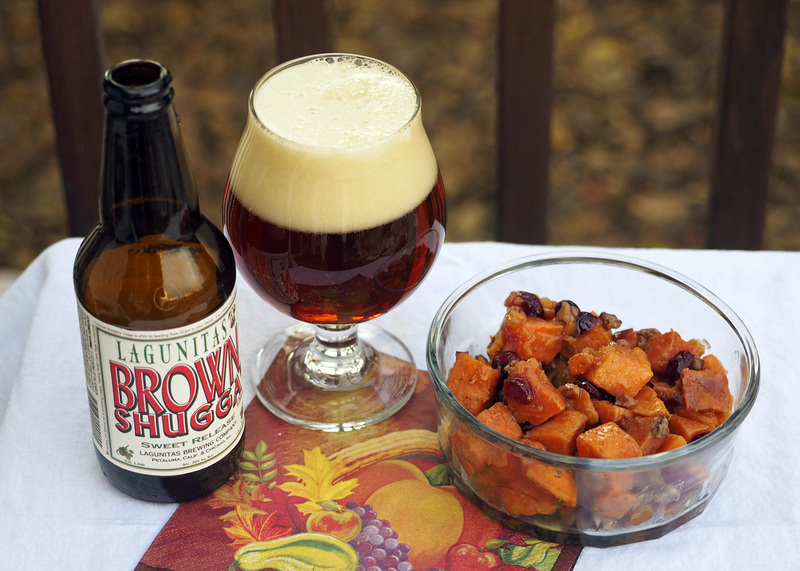 Sweet potatoes are almost meaty so you’ll definitely want a robust beer to go with it. My sweet potatoes had pecans which just catapulted the pairing into the stratosphere! This beer will also go with pumpkin or pecan pie should you have anything left. This bitter vegetable when cooked in sweet balsamic vinegar with bacon is truly one of my favorite vegetal features of Thanksgiving dinner. Collard greens are a close second and would also work here. To accompany this dish, I selected a smoked beer. Rauchbier (literally “smoke beer), like Red Rock’s Franconian, highlights the smokiness inherent in the roasted veggie and the bacon. The malt brings out the sweetness of the balsamic and contrasts the bitterness in the Brussels sprouts. Bohemian also currently has a rauchbier on draft, and if you’re not a fan of the smoke, try their Dunkel. It has more of a suggestion of smokiness without being brazen about it. Epic’s Smoked and Oaked or a smoked porter would be good choices as well. The grand finale of Thanksgiving deserves a grand finale beer! 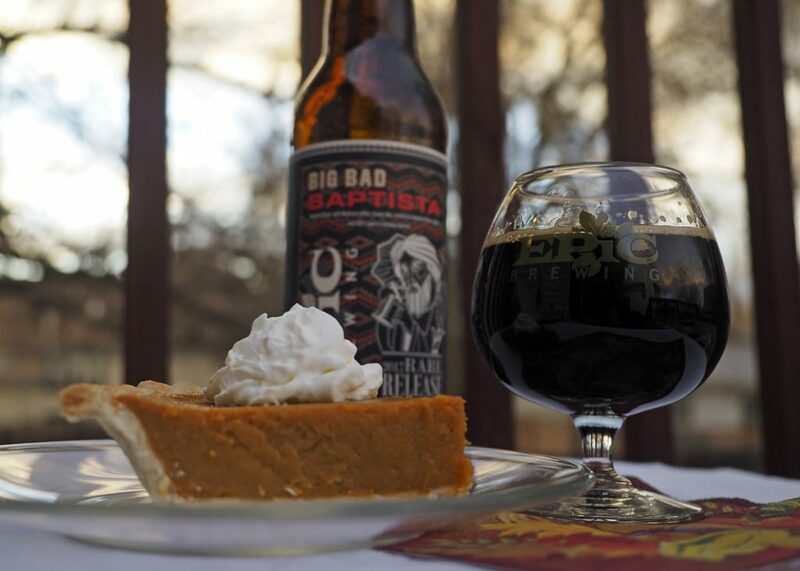 Big Bad Baptista from Epic Brewing is about as idyllic a pairing as you could ask for when it comes to pumpkin pie topped with whipped cream. This whiskey barrel-aged beer is made with Mexican coffee and has notes of chocolate, cinnamon and vanilla to blend seamlessly with the flavors found in pumpkin pie. You can’t go wrong with any of the Big Bad Baptist trio currently offered by Epic or any other stout, barrel-aged or not, you may have in the cellar. Cheers and Happy Thanksgiving from your Crafty Beer Girls! It seems a pity that my Thanksgiving dinner will be beer free. I may have to try these pairings on an ad hoc basis over the next month or so. Thank you so much for these! Thanks for taking one for the team! !